Chain, Inc., an enterprise software company that works with financial firms to design and build Blockchain networks, today announced its partnership with the Initiative for Cryptocurrency and Contracts (IC3). The collaboration underscores Chain’s commitment to building interoperable software that is scalable across the financial services industry. IC3 is an initiative of Cornell University, Cornell Tech, UC Berkeley, University of Illinois at Urbana–Champaign and the Technion. It was founded to advance the development of Blockchain technology by making its collective world-class expertise in cryptography, distributed systems, game theory, and programming languages available to industry partners, such as Chain. 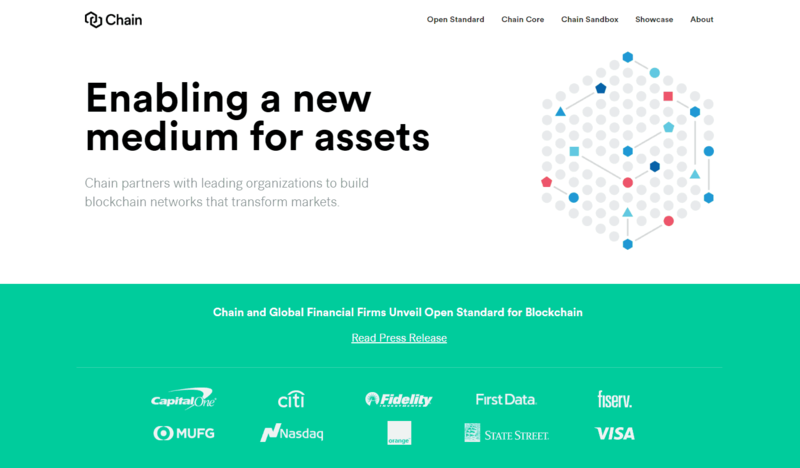 Chain, Inc. (www.chain.com) is an enterprise software company that partners with leading financial firms to design and build Blockchain networks. Chain developed and maintains the Chain Open Standard, an open source Blockchain protocol for high-scale financial applications. Chain’s platform includes Chain Core, an enterprise-grade production node, and the Chain Sandbox prototyping environment. Chain has raised $45M from leading venture capital firms and strategic investors. The company’s board of directors includes the former CEO of American Express as well as one of the founding executives of PayPal. Chain is headquartered in San Francisco, CA. IC3 (www.initc3.org) is an initiative of faculty members at Cornell University, Cornell Tech, UC Berkeley, University of Illinois at Urbana-Champaign, and the Technion. IC3 offers world-class expertise in computer science that spans cryptography, distributed systems, game theory, programming languages, and system security techniques. IC3’s innovations include new cryptocurrency and smart contract technologies that offer both the scientifically rigorous security properties required for robust Blockchains and the performance and reliability demanded by practitioners.